Edith Mathis was born in Lucerne, Switzerland, where she also began her musical education. Her first stage experience was gained in Lucerne and Zürich, and soon afterwards she joined Cologne Opera. During this period she also appeared as guest artist at the Hamburg State Opera and at Glyndebourne and Salzburg Festival operas. She became a member of Deutsche Oper, Berlin, and has since sung in most of the leading opera houses of the world, including The Royal Opera House, Covent Garden, the Metropolitan Opera in New York, Bavarian State, Vienna State and Paris Operas, in roles including the Countess in Le Nozze di Figaro, Agathe in Der Freischütz and the Marschallin in Der Rosenkavalier. 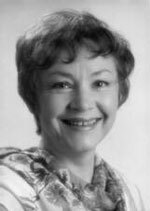 Alongside her operatic career, Edith Mathis also has an extensive Lieder and oratorio repertory and her many concert appearances have included tours to Japan, the USA, Australia and Russia. She has received numerous awards for her work on the operatic stage, in the concert hall and in the recording studio, including the Mozart Medal from the Mozarteum Salzburg, the Hans-Reinhard-Ring from the Swiss Society for Theatre, the Arts Prize from the city of Lucerne, the Buxtehude Prize from the Lübeck Senate, and the Prix Mondial du Disque. She has been a Bayerische Kammersangerin since 1979 and now lives in Switzerland.